Most venous leg ulcers can be CURED. Not healed temporarily with dressings and compression, only to come back again – but cured. So why is this revolutionary? Because most patients are not given the chance of a cure. Patients with leg ulcers are consigned to a life of dressings and compression – and are not told that they might be cured with local anaesthetic vein treatments, performed as walk-in, walk-out procedures. Professor Mark Whiteley is an internationally renowned venous surgeon who has spent over 20 years researching venous disease and treatments. He performed the first endovenous surgery in the UK (March 1999), invented the TRLOP procedure in 2001 and founded The Whiteley Clinic in 2003 as a specialist venous clinic – now called Whiteley Clinics. This book is aimed at anyone who has a venous leg ulcer, or who deals with patients who have venous leg ulcers – either as a carer or as a healthcare professional. Written simply and well-illustrated, it takes the reader from first principles through the investigation and treatments of venous leg ulcers – showing how compression and dressings can be avoided in most patients who can walk. 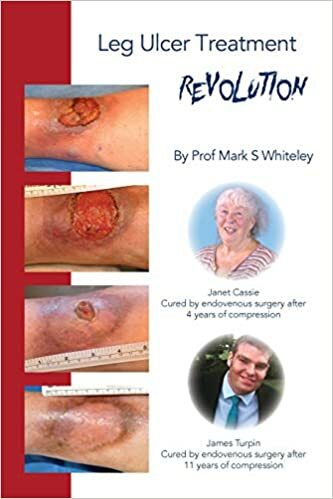 With the changing face of medical research, new guidelines and litigation, anyone who has a venous leg ulcer, or who works with those that suffer from venous leg ulcers, should be aware of the messages in this book. Almost 1 in 2 people suffer from problems with leg veins – so if you don’t have them then someone close to you will. Venous reflux (the major cause of leg vein problems) can cause tired or aching legs, swollen or itchy ankles. Many people suffering from venous reflux are unaware of the problem, until they develop unsightly varicose veins, thread veins, venous eczema or venous leg ulcers. Many doctors and nurses are not aware of the new information available and still treat their patients inappropriately with creams, bandages or support stockings. “Understanding Venous Reflux – the cause of varicose veins and leg ulcers” has been written by Mark Whiteley, an internationally renowned vein expert. 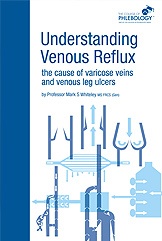 With clear explanations, illustrated by over 50 easy-to-follow diagrams, this book makes the understanding of venous reflux – the underlying cause of varicose veins and most venous problems (such as thread veins, venous leg ulcers, venous eczema, discoloured ankles, etc.) – accessible to most readers, helping them decide on what treatment they should seek. For medical and nursing students, as well as all doctors, nurses and other health care workers who deal with legs and leg vein problems, this is an essential text. This book will have something of interest for everyone who is interested in Phlebology and/or Venous Surgery. 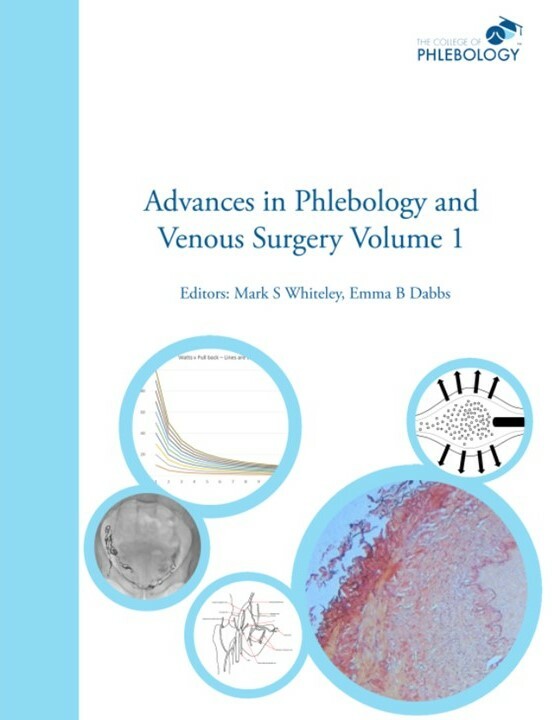 This book is produced by CoP The College of Phlebology and some of the contents were presented at the CoP International Veins Meeting in London, UK in March 2017.